Ishi Glaze teacup set from Miya. Beautiful glaze on traditional size Japanese teacup. These 4 oz. 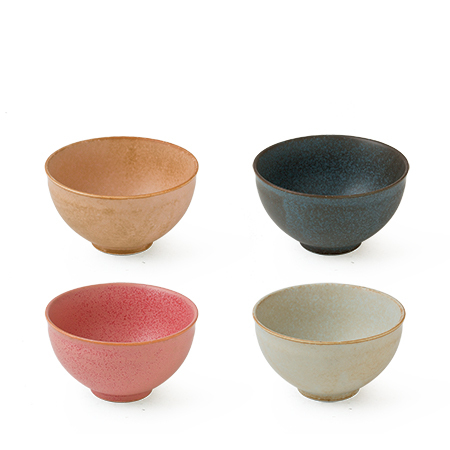 Japanese teacups have a wonderful matte glaze that is reminiscent of natural stone with a fun color twist. This set features four assorted colors in a black gift box.